I prepared a list of the #winelover-s (people who love wine and that dedicate – a lot of – time to talk about it!) with scores 65+. They are the top people in the wine industry who efficiently use social media and I’m very proud to be part of it. Are you a #winelover and your score is 65 or higher? You should be on this list… In case you aren’t, please let me know and I’ll fix it ASAP! 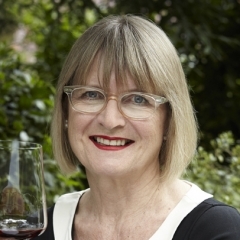 Great to see that Jancis Robinson remains at the top. Hard to think of someone with her credibility in the wine industry who uses social media as efficiently as she does… so I guess that Jancis also gives credibility to Klout! Not to mention that she is closely followed by a few other stars of the “winesphere”. To be part of this list, your top topic MUST be wine… what else? Will the future ever forgive us if we fail to save Lugana? Very close, Liz! Let me know when you climb to 65! Cheers!! Luiz, obrigado por me adicionar à lista! Ciao Alberto! You forget for Italy Chiara Giovoni! https://klout.com/#/user/kiainga 66 ! My pleasure, Andrea! And I just included Chiara… Thank you! Just added you too, Lori! Cheers! Yay! Finally with the cool kids! Great, Sarah! You are one of the coolest kids after all! Matthew Jukes = 58… Cheers Stevie! A great updated list Luiz! I’ll get this shared around. It will be 6 months in mid January since I did The Wine Wankers top 100 list. I’ve been contemplating whether or not I produce it again at the 6 month mark but I’m apprehensive. It was mostly well received but it did bring out the worst in a few people. I even got a cyber-stalker on my back because of it. Not sure if that’s something to be proud of. LOL. Hi Conrad, you did a great job with your list and I think you should revise it when you have a chance. 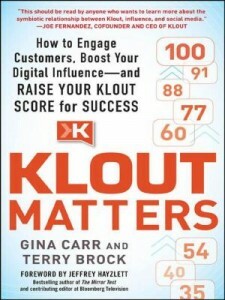 And don’t mind the stalkers… it’s a small price to pay to have a Klout score over 80! Cheers!! Hi Luiz – Klout puts @BarossaDirt at 65 – do we make the cut ? And you are included, Barossa Dirt! Cheers!! Have you considered Gary Vaynerchuk? 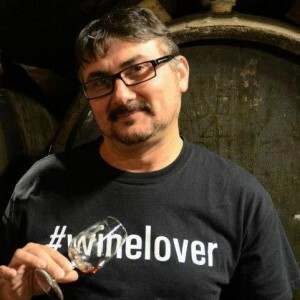 He is regarded as a pioneer and leader in wine social media. I didn’t add him the first time because he seems to have branched out a bit from wine but I have been considering adding him to our list if we redo it. What’s your thoughts? Gary Vaynerchuk top influence is social media and not wine, Conrad. One of the requisites to make this list is that the top influence is wine… Does that make sense? Cheers! Well I’m glad you said that, thanks. I won’t add him to my list then either. No one mentioned that he was missing last time but if anyone mentions it next time I’ll use your response. Cheers mate! Sounds good! Looking forward to seeing your updated list, Conrad! Cheers!! And… at 68… you are there Michelangelo! Cheers! That’s a great list Luiz. Maybe one day I’ll be part of it… one day. It’s always great to have lofty goals isn’t it? Aiming high is always a virtue, Tim! Cheers!! My apologies, Julien! I’ll fix it as soon as I get a chance… Cheers! Hi Luiz! I was up at 68, but slipped down to 65 for some reason, but enough to make the list, no? Cheers! Thanks for letting me know, TDC… The list will be updated in June… Cheers! !